It was not immediately clear whether Harper would stay on as MP for Calgary Heritage. The Liberals are celebrating a historic victory after leaping from third place directly to the seat of power. As of 2 a.m. ET Tuesday, the Liberals were elected or leading in 185 ridings. 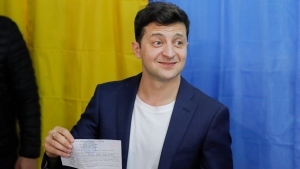 With 100 seats, the Conservatives were reduced to Official Opposition status. The NDP were leading or elected in 42 ridings, the Bloc Quebecois had 10, and the Green Party had one. 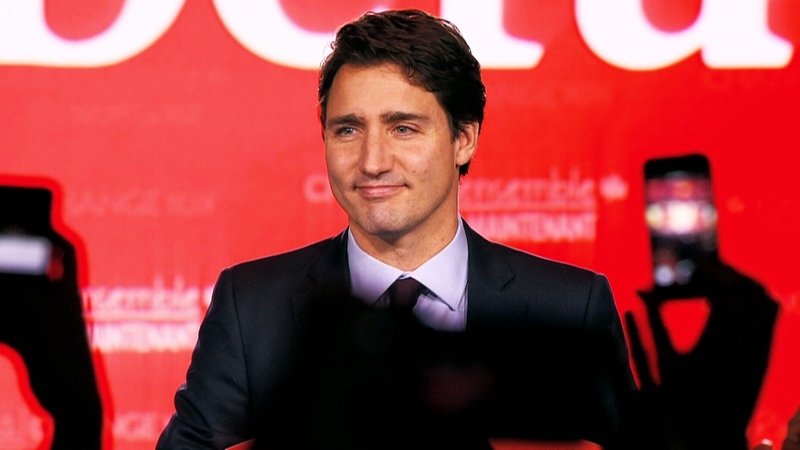 Trudeau, 43, is following in the footsteps of his late father Pierre Elliott Trudeau, and establishing Canada’s first political family dynasty. On several occasions throughout the marathon, 78-day election campaign, Trudeau fondly mentioned his father, who served as prime minister for 16 years. But political observers say it’s not just the Trudeau name that helped the Liberals regain power after a humiliating slide in the 2011 federal election. Trudeau, billing himself and the Liberals as the only path to “real change,” was able to convince voters across the country that he was ready to lead the country -- despite what the attack ads claimed. Addressing his stunned supporters in Calgary Monday night, Harper said he had “an unbelievable honour” to serve as Canada’s prime minister. “We gave everything we have to give and we have no regrets whatsoever,” he said. “While tonight's result is certainly not the one we had hoped for, the people are never wrong,” Harper said, adding that the Tories will form a “strong” Official Opposition. “The disappointment you also feel is my responsibility and mine alone,” he told the crowd. 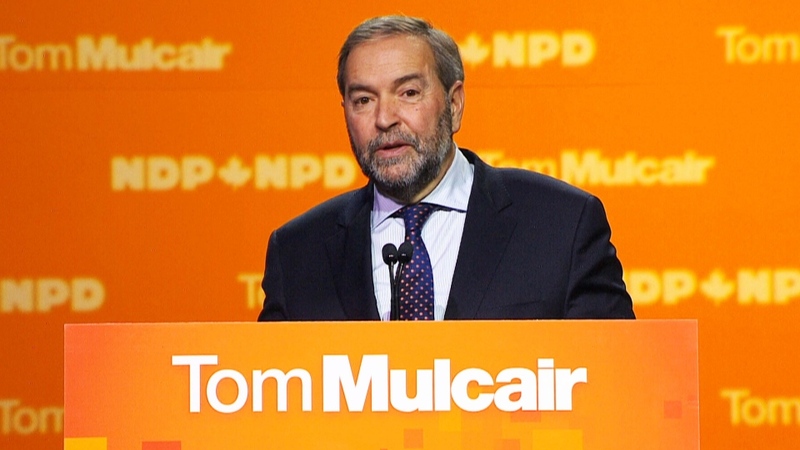 The political future of NDP Leader Thomas Mulcair was also uncertain Monday night as the party slid into third place. Under its late leader Jack Layton in 2011, the NDP surged to Official Opposition status, thanks to major gains in Quebec. But in the final weeks of this election campaign, the New Democrats began losing support in the province. Addressing a crowd in his Quebec riding of Outremont, Mulcair did not say whether he would stay on as leader, but promised that the NDP will continue its work on health care and economic policies. Some have attributed the NDP’s downfall in Quebec to Mulcair’s position that women should have a right to wear face-covering veils at citizenship ceremonies. Polls have shown strong support for niqab bans in the province. The niqab debate was one of the unexpected flashpoints on the campaign trail, with Harper saying that a re-elected Conservative government would re-introduce and adopt banning niqabs and other face coverings at citizenship ceremonies. Harper’s rivals and critics called his insistence on a niqab ban an attempt to demonize Canadian Muslims, as well as distract voters from real election issues. Trudeau said the Liberals would not push for such a ban. He campaigned on tax breaks for the middle class, which he said would be paid for by raising taxes on the wealthiest one per cent. He also promised a new, tax-free child benefit to replace the Conservatives’ universal child benefit and drew ridicule from Harper when he said he would run three “modest” deficits to boost the economy and invest in infrastructure projects. The Liberal win did not come as a surprise to anyone who has been following the last few weeks of the election campaign. Heading into election day, Nanos Research put the Liberals in the lead, at least nine points ahead of the Conservatives. Peter MacKay, the former Conservative minister who did not run for re-election, said it was painful to watch the Conservative losses Monday night. His own Nova Scotia riding of Central Nova, considered a Tory stronghold, was claimed by Liberal candidate Sean Fraser. “Obviously not the results were hoping for across Canada,” MacKay told CTV News earlier Monday night. Mulroney said that “seasons change” and political tides come and go. “That’s what democracy is all about and we’ve seen it tonight,” he told CTV News Anchor and Senior Editor Lisa LaFlamme. Mulroney said he warned the Conservatives early on in the campaign that they shouldn’t underestimate Trudeau, who was often derided as an inexperienced candidate with little substance. “I felt and I said: be careful…he’s a man of significance,” Mulroney said. Green Party Leader Elizabeth May told a crowd on Vancouver Island Monday night that she spoke with Trudeau and congratulated him. She held on to her Saanich-Gulf Islands seat. Bloc Quebecois Leader Gilles Duceppe, meanwhile, was defeated in his riding of Laurier-Sainte-Marie. He lost his seat to the NDP’s Helene Laverdiere. Liberal Leader Justin Trudeau speaks to supporters on Monday, Oct. 19, 2015. 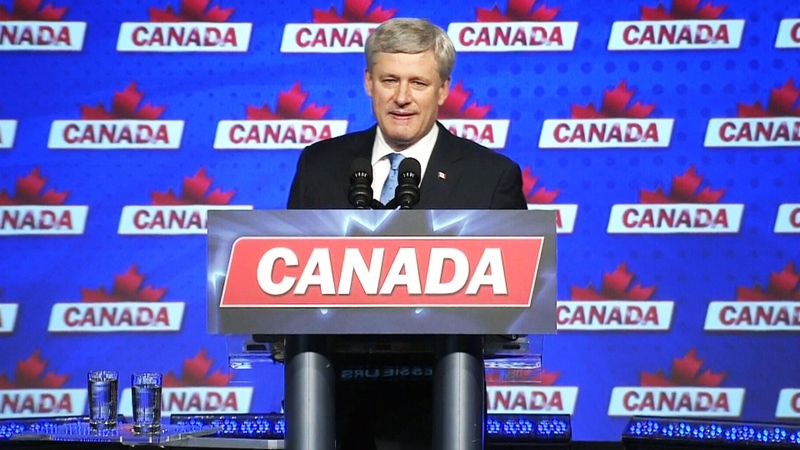 Stephen Harper speaks to supporters on Monday, Oct. 19, 2015.